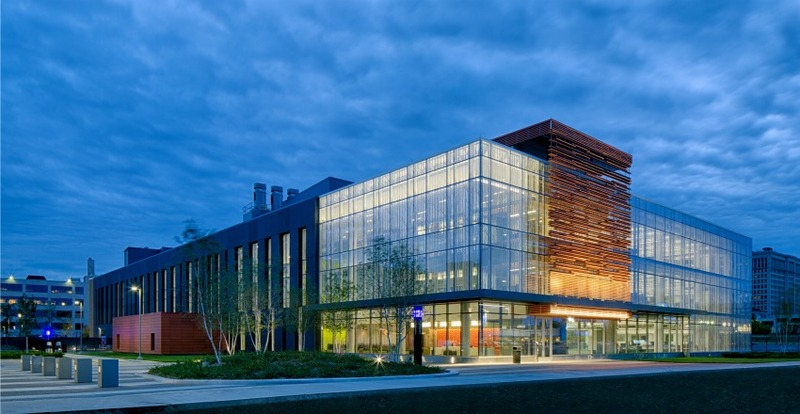 The Integrative Biosciences Center (IBio) at Wayne State University has been named the 2017 Renovated Laboratory of the Year by R&D Magazine and Laboratory Design. The award was announced at the Laboratory Design Conference in Raleigh, North Carolina, on April 24. The new IBio reimagines the way science approaches urban health issues. The $90 million facility is dedicated to studying and eliminating the many health disparities that plague the city's residents. IBio includes faculty with expertise in environmental sciences, bio and systems engineering, heart disease, diabetes, obesity, asthma, and bio-behavioral health. The redesigned facility features a 40-foot-high concourse lined with meeting rooms, and labs with floor-to-ceiling glass partitions to provide views and create curiosity between work areas. It will eventually house more than 400 individuals within 200,000 square feet of lab and clinical space designed to foster a collaborative and flexible team science approach to research. A complete profile of the IBio will appear in the May/June 2017 issues of R&D Magazine and Laboratory Design. Learn more about the Laboratory of the Year winners on labdesignnews.com. The Laboratory of the Year Awards recognize excellence in research laboratory design, planning and construction. Judging of the annual international competition was conducted by a blue-ribbon panel of laboratory architects, engineers, equipment manufacturers, researchers and the editors of R&D Magazine and Laboratory Design.